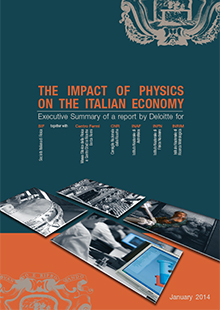 In 2013 the Italian Physical Society (SIF), in collaboration with the National Research Institutions Centro Fermi, CNR, INAF, INFN, INRIM, has decided to produce a study to assess the contribution of physics-based sectors to the Italian economy, namely of those industrial and business sectors where the use of physics – in terms of technology and expertise – is critical to their existence. 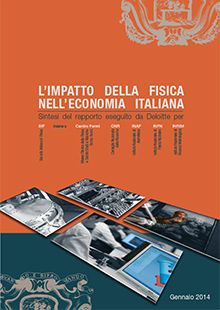 The analysis was carried out on publicly available Istat data spanning the 4-year period 2008-2011. The study has been commissioned by SIF from Deloitte, a well-known professional services company. 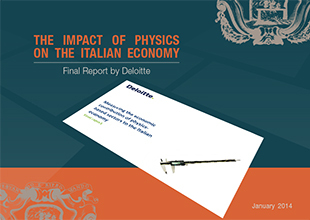 The approach adopted for this study, the definition of the physics-based sectors of the Italian economy and the contents of the Executive Summary which highlights its focal points are the result of consultations within a Working Group consisting of representatives of the different stakeholders: Giulio Bollino (CNR, INRIM), Sandro Centro (Centro Fermi), Luisa Cifarelli (SIF), Speranza Falciano (INFN), Corrado Perna (INAF), Andrew Tong (Deloitte, United Kingdom), Matteo Zanza (Deloitte, Italy), Filippo Maria Zerbi (INAF).